Here at Hillbilly Proud we have always been a blue collar, Appalachian company with friends and family that like us, get dirty at work. We have mixed it up through the years with American made merchandise that we think is up your alley. Last year we had the Safety Lime T-shirt as well as a selection of stickers featuring pipe-wrenches, oilfield derricks and natural gas flames in different designs on shirts, hats and decals. There is a survey below, let us know what you want to see on this shirts released in May. The stock is kind of low until then but the STORE should be up to date and we will have hats back in stock soon! This year, our racing and filming season should start in early May in Reno, OH and then to Parsons, WV at the end of May/ To see our schedule so far, check out the EVENTS page but please be patient and check back soon, there are so many great events we want to film so we'll be adding some! If you are looking for an event nearby and not exclusively one we are filming then check out WVRacing.com various motorsport or vehicle based events. 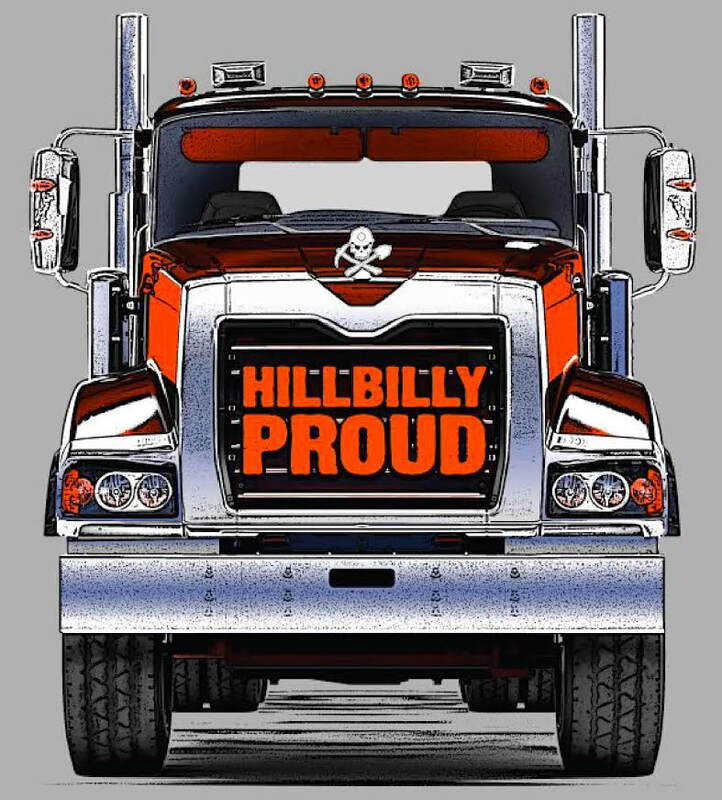 If you snag a cool picture of Hillbilly Proud stuff on display, a spectacular view along the rambling roads or a cool story from the field, jump to the Contact page or tag us on social media.